Is there is publishing instructions for iOS games built with Felgo 2.x as it was for Felgo 1.x ? we’ll add a deployment guide to Felgo v2 to the next release (ETA beginning of August). 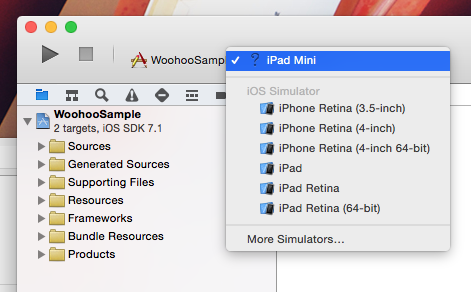 are you starting your game from Qt Creator or from Xcode? If you use Xcode please make sure that the desired platform (device or simulator) matches the target you have chosen in Qt Creator initially (switching between the two types must be done in Qt Creator). 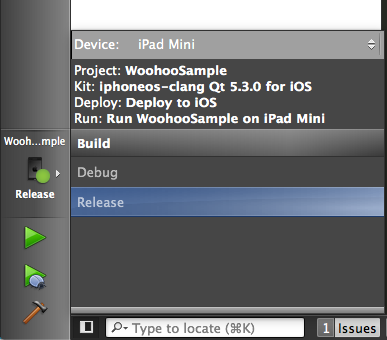 You can switch the target in the drop-down in the upper left corner of Xcode’s window. We publish a proper deployment guide with our upcoming update the next few days, which will explain that in a detailed way. Hope this helps! is it possible to create bundle ID on iTunes connect without prefix?